This is an off-the-cuff first glance assessment of last night’s primary election results. 1. Incumbents. Did any of them lose? Even the ones facing strong challengers seem to have made it safely to dry land. 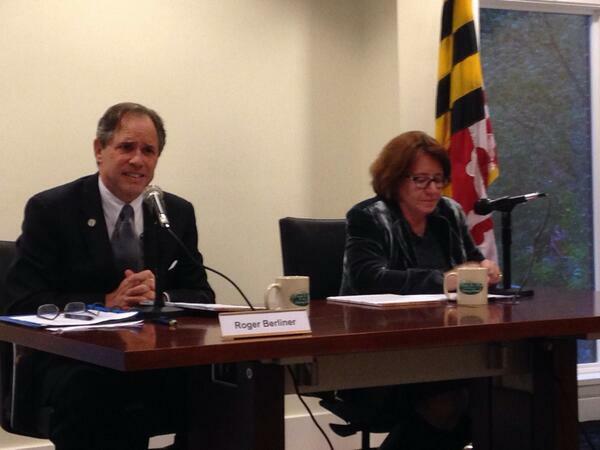 In the Council races, Hans Riemer, George Leventhal and Roger Berliner all made it home safe. While Leventhal lagged notably behind the other incumbents, he still had a relatively nice margin over Beth Daly who ran strong. Ditto for executive and legislative offices. 2. Sidney Katz. 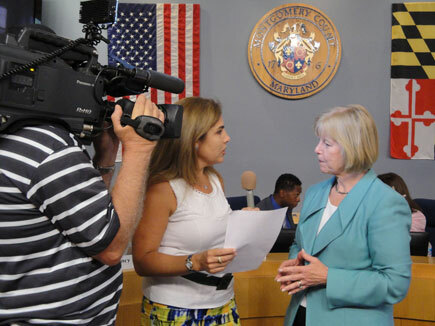 The Mayor of Gaithersburg’s campaign was consistently underrated by many as Ryan Spiegel scooped up union endorsements and Tom Moore garnered support from the Washington Post. But Katz’s longtime service and knowledge of the area just mattered more. 3. Minority Representation. The legislative delegation will have new African-American (Will Smith), Latino (Marice Morales), and Asian (David Moon) representatives. Additionally, appointed Del. Fraser-Hidalgo fought off a tough challenge. Susan Lee just became the first non-white to win a Senate seat. And Ike Leggett will return for a third term as county executive. 4. Cheryl Kagan. Second time is a charm for the former delegate who sought election to the Senate previously in 2010. Despite Luiz Simmons’ incumbency and seemingly endless barrage of self-funded negative mail, he could not overcome her strong campaign or problems created by his own legislative record. 1. MCGEO President Gino Renne successfully positioned his union as the leader of the county public employee unions outside the school system, including the FOP and the Firefighters. His efforts backfired hugely yesterday as preferred county council candidates lost across the board with the exception of Tom Hucker, who won a tight race over newcomer Evan Glass. 2. Sam Arora and Ben Kramer. Arora was more or less forced out of the legislature after his last-minute switch against marriage equality led to national outrage. His effort to extend his influence through his endorsement of Charlotte Crutchfield also failed. Kramer also lost in betting against Maricé Morales, the choice of Sen. Roger Manno and Del. Bonnie Cullison. 3. Kevin Gillogly didn’t have much success as a campaign operative, having worked for unsuccessful legislative candidates Jonathan Shurberg and Dana Beyer. 4. Duchy Trachtenberg had lots of money but incumbent Roger Berliner just cleaned her clock. This ought to be Duchy’s last stand but that doesn’t mean that it will be. MCGEO is the Municipal and County Government Employee Organization. FOP is the Fraternal Order of Police. 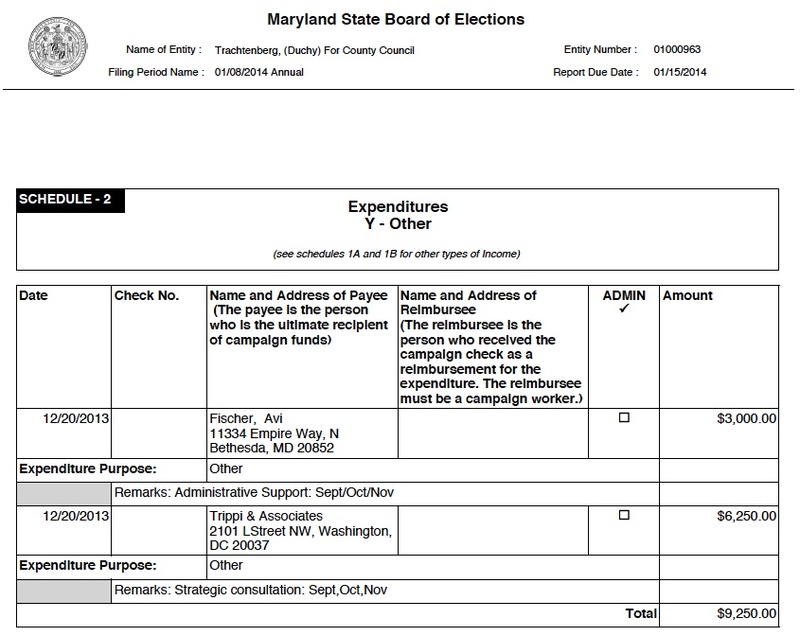 AFL is the MD-DC AFL-CIO. IAFF is the International Association of Fire Fighters. 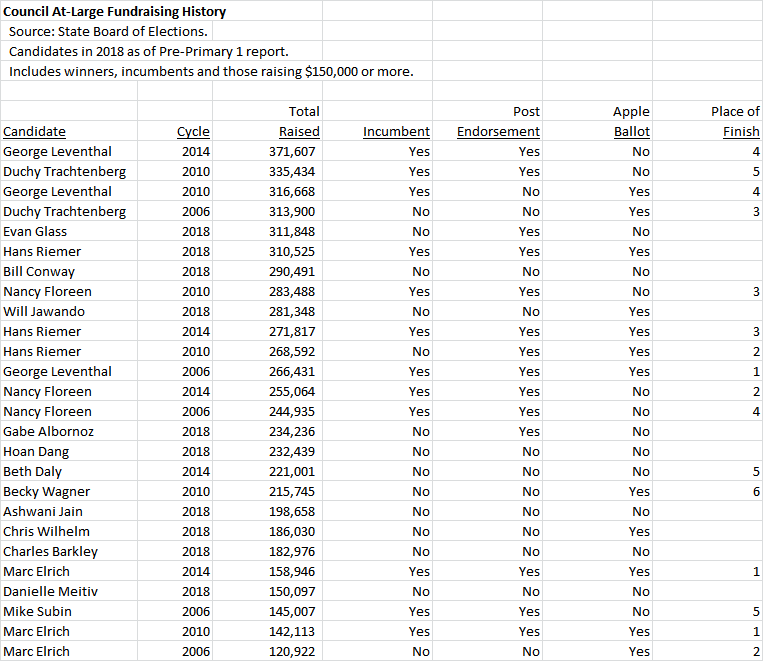 There might be additional endorsements than those recorded here, particularly for the IAFF. The government employee unions are placing heavy bets behind candidates who favor effects bargaining despite its repudiation by the voters, especially Duchy Trachtenberg and Tom Hucker. In a recent debate, Duchy speculated that the decline in police morale resulting from the removal of effects bargaining had caused crime to increase. Except that crime has declined–as Ike Leggett loves to remind us–which renders the theory untenable. Ryan Spiegel has positioned himself as extremely pro-labor despite his unwillingness to revisit effects bargaining. And the unions don’t have a pro-effects bargaining choice in District 3. Ryan is clearly their candidate for the Rockville-Gaithersburg district. In ultra-liberal District 5, Evan Glass has staked out a position as the only candidate opposed to overturning the will of the voters unless it proves to cause problems for voters. Not a bad idea since he was never going to outbid Hucker for union support. 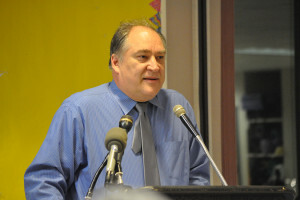 Marc Elrich is the only incumbent councilmember to receive an endorsement from any of these four unions. 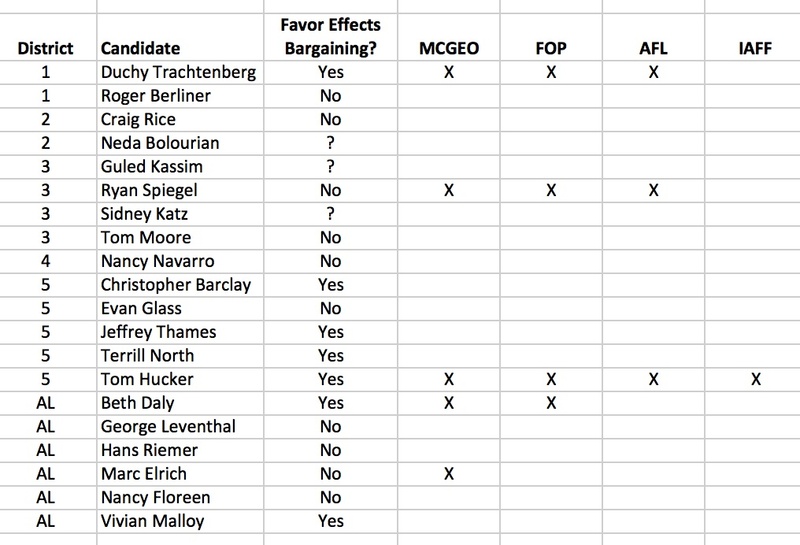 At-Large Candidate Vivian Malloy is pro-effects bargaining but is not perceived as a viable challenger by these unions. I recall the debate four years ago between incumbent Roger Berliner and challenger Ilya Hopkins as being unusually combative. As this contest is even more heated, I only expect this year’s Democratic primary debate to be more so.